As locked out National Grid workers face losing unemployment benefits in January, the Massachusetts House on Thursday amended, passed and sent to the Senate a potentially precedent-setting bill (H 4988) calling for the state to set up benefits for any employee locked out in a labor dispute. Under the bill, the state labor and workforce development secretary would be required to establish "a benefit program for any individual who is involuntarily unemployed during the period of the negotiation of a collective bargaining contract because of an employer's lockout." Lawmakers hope the bill will force an end to the National Grid lockout and result in a contract agreement with natural gas workers. All program costs would be assessed on the employer that has locked out its employees, the bill mandates. It would preclude an employer from passing on costs of the program to ratepayers. The House adopted two amendments sponsored by Republican Leader Brad Jones. The first amendment exempts municipal light and gas plants from the proposed law, and the second amendment sunsets the entire proposed law on Jan. 1, 2023. The bill now moves to the Senate, which met briefly Thursday and adjourned until Monday. National Grid and representatives of its locked out gas workers are scheduled for more contract talks on Friday. Both sides have repeatedly emerged from previous unsuccessful contract talks expressing disappointment with the other side. 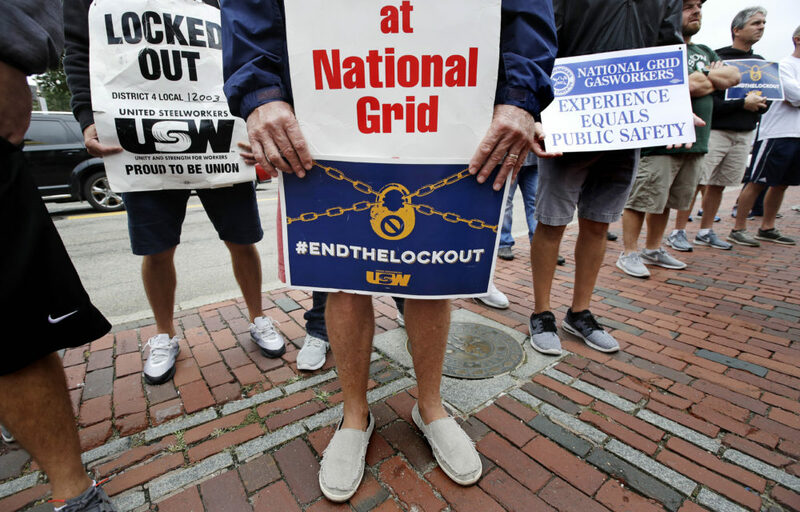 More than 1,200 National Grid employees have been locked out of their jobs since late June. "I'm glad that the House advanced a bill today to create a program to extend the benefits for these workers," House Speaker Robert DeLeo said in a statement. "In addition to providing relief and security to these workers and their families, we built in protections for taxpayers and ratepayers – assuring that the cost of these benefits fall solely to the employer responsible for the lockout."